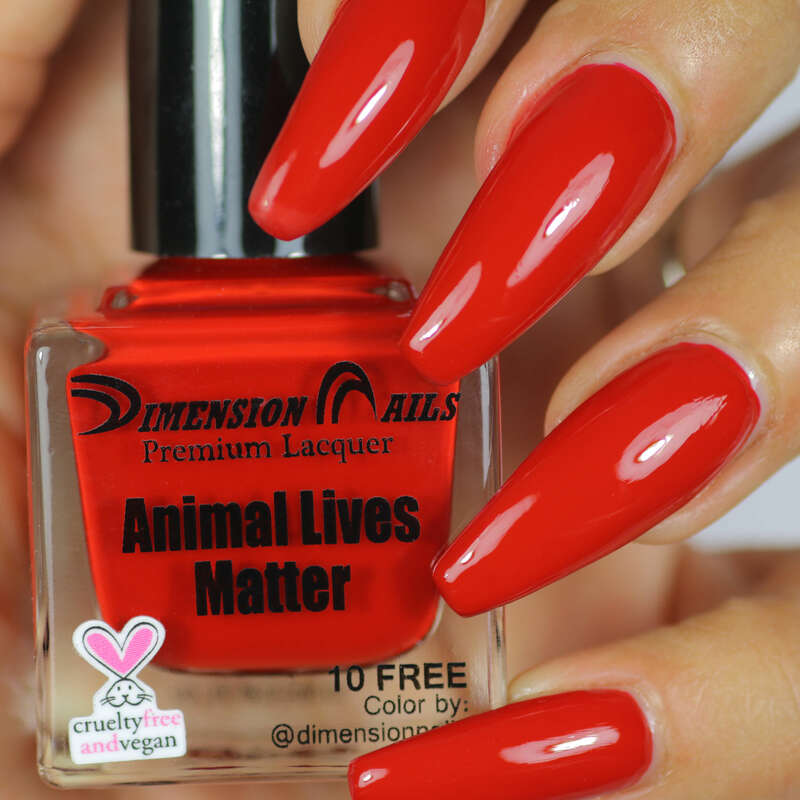 Dimension Nails is a small nail care company based in Florida that specializes in vegan, 10-free & cruelty-free nail polish. Owner Stephanie’s unwavering passion for animals caught our attention as well as her beautiful nail polishes & plastic-free glitters. 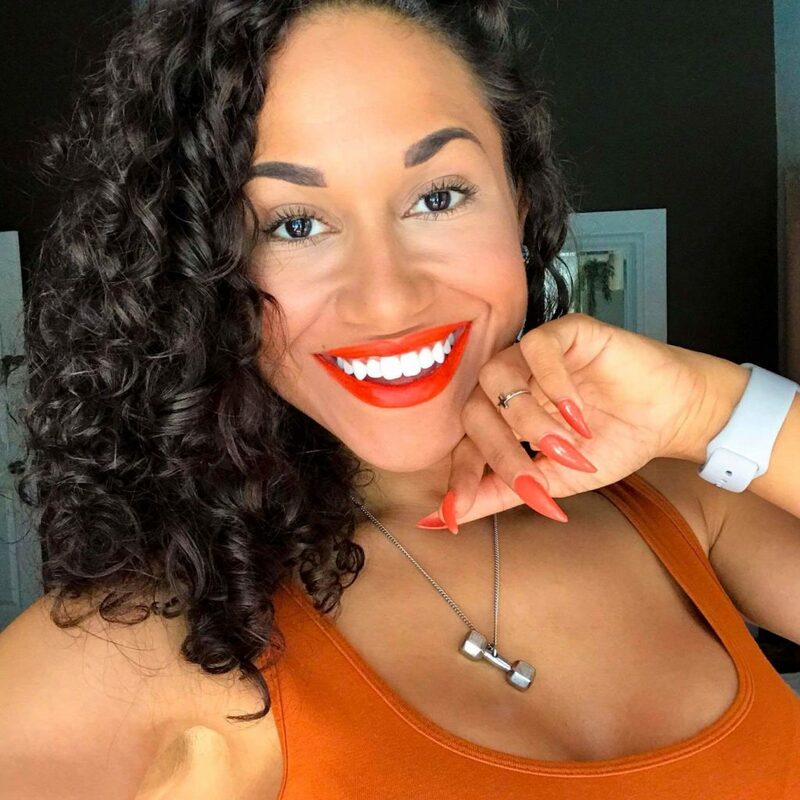 We think you’ll love Dimension Nails just as much as we do so we decided to interview the owner, Stephanie Warren. Below you’ll find her responses to our interview questions. My name is Stephanie Warren. I’m originally from Ohio and now I’m living in the sunny state of Florida. I’ve been here a little over 10 years now and I love it. I spend most of my days working on the brand but, when I’m not, I have many hobbies I enjoy. I used to run a health and beauty blog I no longer have time for but I still enjoy doing all the things I blogged about. I love to prepare raw vegan food. I’m always learning new and healthy ways to create the cooked dishes that I loved. I also have a large garden in the back yard. I get a decent harvest of bananas, tomatoes, peppers, and many more seasonal items. We, my fiance and I, have 3 dogs, 3 bunnies, and a 56-gallon aquarium. So lots of kids. I also enjoy working out. I used to be a certified personal trainer for LA fitness, so fitness is an important part of my life. I just try to be a better healthier person every day I wake up. For fun, I really enjoy playing video games and watching anything horror or anime related. Also, Cartoon Network has the best shows. How did the idea for Dimension Nails come about? Dimension Nails was actually started from nail stickers. We had the first ever peel, stick, and paint 3D stickers. My father and I came up with them. Because the products were very new to the industry, we only had one manufacturer who knew how to make them. For personal reasons the owner took a leave of absence and we couldn’t produce the product, so we closed. During that time, I became a vegan. It has brought me so much joy in my personal life I wanted to share that with others. So, we re-opened the business with the goal of spreading awareness about veganism though nail polish. How did you choose the name “Dimension Nails”? The name originally came from our 3D stickers and the dimension they gave the nail. Now we like to refer to it as adding a compassionate dimension to the nail industry. We have lacquers, gel polishes, nail powders, nail art, and other items that come and go. At this moment we stay away from 10 main ingredients for our polishes, formaldehyde, formaldehyde resin, dibutyl phthalate, toluene, camphor, tphp, parabens, xylene, ethyl tosylamide, and lead. Being a very health conscious person, I’m always looking for new ways things can be improved to produce a cleaner product. Some of our color choices come from the seasons, animals, and holidays. Others come from our collaborators. We team up with inspirational vegans on Instagram to create some of our products. They get to choose the color and name, then we print their IG handle on the front of the bottle. Our hope is that people will visit their pages and can be as inspired as we are by them and the many different aspects of veganism. If I had to pick one product I couldn’t live without it would be the Dayslayer Builder Gel. I NEED my nail extensions! I have been vegan now for almost 4 years. Veganism is not a diet, it’s a complete lifestyle. A life that is full of health, love, and compassion. I personally believe animals should not be harmed for any reason. Not for food, not for makeup, not for safety testing. I find it to be unnecessary with all the knowledge and advancements we have today. I believe all sentient beings feel pain equally. I wouldn’t want any harm done to my human family or friends, nor would I want any harm done to my children (dogs, fish, and bunnies), so why would I want harm to come to any other human or animal? Pain is pain and I don’t want that for any sentient being. With that being said, I conduct my life and my business around those morals. I do not and will not carry any products that have been tested on animals or that have any animal ingredients in them. I wasn’t born a vegan, nor was I born with the right to judge. I try to encourage, educate, and inspire people on their own journey through this life. I did recently sign on a new cruelty-free manufacturer. We have some new product ideas coming up, but it’s still too soon to say. Receive 20% off of your Dimension Nails order by using the code “shussar20” at checkout. We will have full reviews of the Dimension Nails products we’ve tried soon! Stay tuned! Disclaimer: Contains affiliate links. This post is not sponsored. All opinions are our own. Nothing stated above should be used in lieu of professional medical advice.